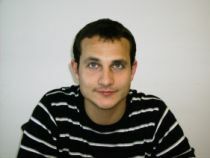 Ernest Miguélez is Junior Researcher (Chargé de Recherche) at the French National Centre for Scientific Research (CNRS), attached to the GREThA – UMR CNRS 5113, University of Bordeaux, France. His research interests cover economic geography, migration and innovation. At GREThA he conducts research on high-skilled migration, and its relationship with innovation, knowledge diffusion, intellectual property, geography, and development. He received his PhD from the Department of Econometrics, Statistics, and Spanish Economy of the University of Barcelona. Before joining the GREThA – UMR CNRS 5113 he held a research economist position at the Economics and Statistics Division of the World Intellectual Property Organization, a UN specialized agency based in Geneva. Ernest Miguélez joined CReAM as an external affiliate in June 2013.